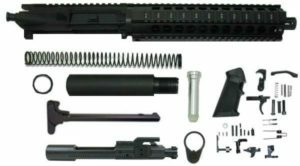 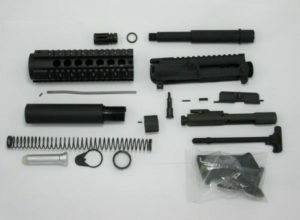 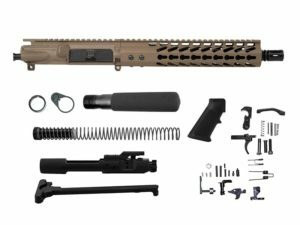 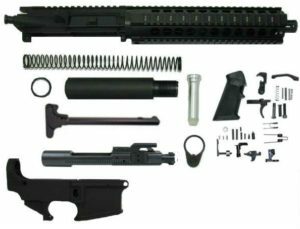 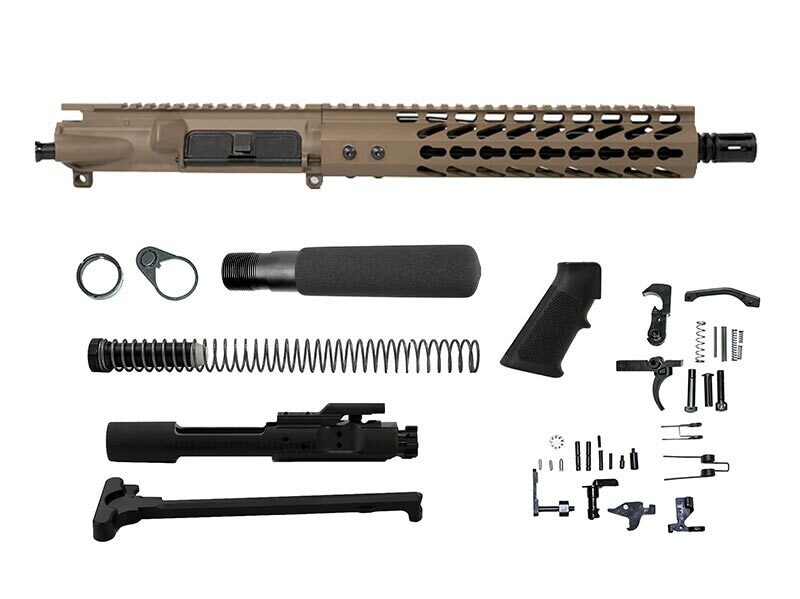 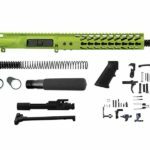 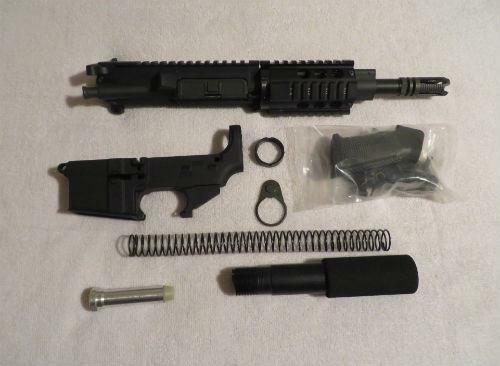 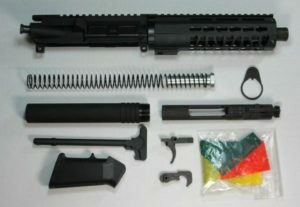 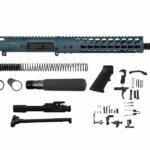 This AR-15 Pistol Kit includes 10.5″ Barreled Upper that comes with M4 Feed Ramp with a Nitride 1×7 Carbine Gas System. 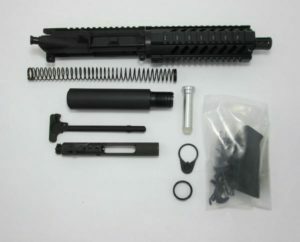 Chambered in 5.56 Nato with a 1/2×28 Thread Pitch and barrel also has a m4 Extension. Handguard is 6061 T6 Aluminum with keymod accessory slots cut on 3 sides with a picatinny rail on top. 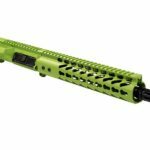 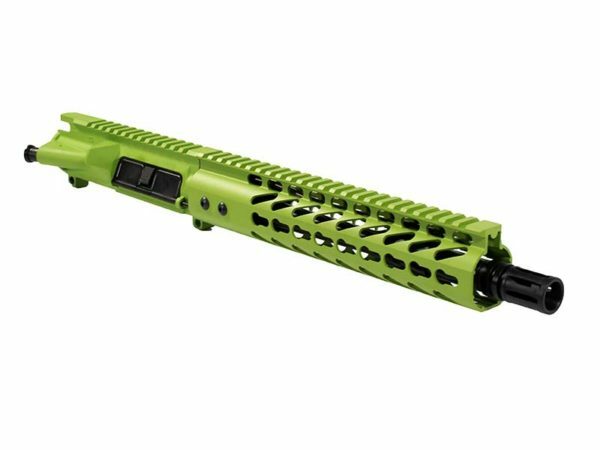 Upper Receiver is Mil-Spec 7075-T6 Aluminum and the Handguard and Upper Receiver are coated with a Cerakote Gun Coatings Zombie Green. This pistol kit contains all Made In America components to complete YOUR 5.56 pistol. 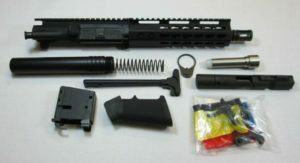 The Zombie pistol Kit Does not include Lower, Magazine, Jig/tooling or Sights. 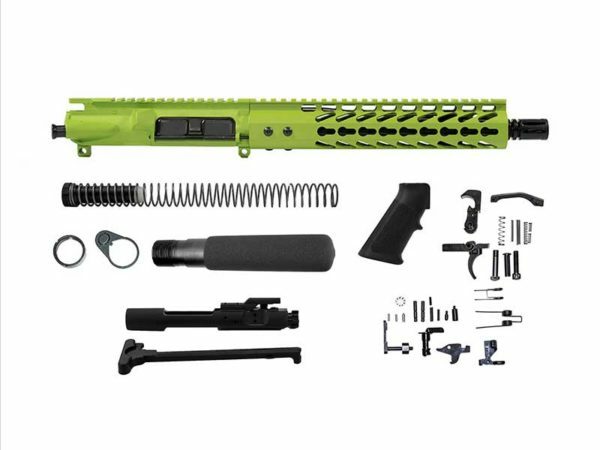 This 5.56 complete Zombie Green Pistol Kit is not an FFL Item.